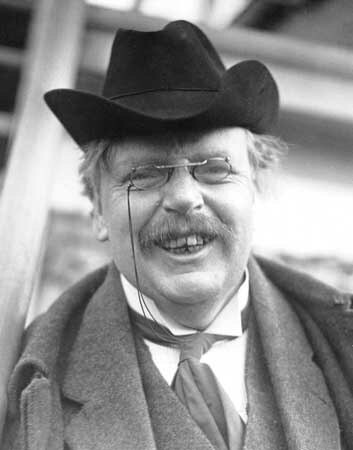 G.K. Chesterton’s humilty was truly Catholic… the humilty of the thinker who absorbs and ponders information form a variety of authoriities and makes his own decision based on them. What a horrible person. 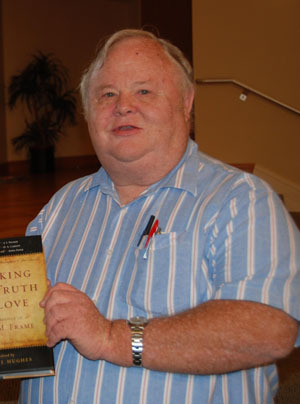 Frame’s humility is truly Protestant… The Bible is the Word of God and stands opposed to the Catholic form of humility, for it is “the criteria for all other knowledge.” This neither Chesterton nor Catholicism will ever understand. But we all know the story… the first Adam fell because of the first kind of humility; but the 2nd Adam obtained salvation by living out the second. The issue is what one depends upon for knowledge – the word of men AND the word of God, or the word of God alone. Can Christians Compete in Sports? Gene Veith thinks so. But the real question is this: Does this mean we can’t play sports “on the head of a pin with angels” now? Aw shucks. And I was hoping against all hope for the chance to engage in real spiritual warfare between miniaturized goal posts and/or hoops on or near a needles eye somewhere on a pinhead. But it seems we have no loss of pinheads pursuing the theological implications of really important matters of spiritual warfare in today’s contemporary world. May the best pinhead win . . . or should I say, be humbled to face his deep abiding shame at pursuit of the affairs of this world with great interest and magnanimity of spirit as unbelievers prepare themselves to roast in the eternal fires of hell while the holy huddle of Reform Theological Rabbit Trails chase their theological tails down into Word of God Wonderland where Alice is preparing a great rewarding feast of wood, hay, and stubble for the winners of the sports debate at the Judgment Seat of Christ. Strike three, you’re out Gene Veith (if that is your real name). Everyone is talking about Tim Tebow these days. Tim Tebow this, Tim Tebow that, I’m tired of Tim Tebow. But as I was celebrating the Lord’s Day this week, I realized that there was at least one person who was not… Tim Tebow. Some think God is helping Tebow win games. Not true. What’s really happening is that God is using Tebow to purify the church. Think of all those carnal Christians Tebow is keeping from fellowshiping with their brothers and sisters in Christ and worshiping the living God because of his chosen profession. The fact is Tebow is causing people to sin because he chooses to play a sport that so dominates the Lord’s Day that it requires those employed by Networks and Stadiums to set aside their calling to not forsake gathering together with the people of God on the day God has set aside for His Worship. Bet you didn’t see that one coming. No one ever does. And that’s why I’m the Theological Ninja! The fairest babe that has entered life this year, and become the sunbeam of a family, is not, as its mother perhaps fondly calls it, a little “angel,” or a little “innocent,” but a little “sinner.” Alas! as it lies smiling and crowing in its cradle, that little creature carries in its heart the seeds of every kind of wickedness! Only watch it carefully, as it grows in stature and its mind developes, and you will soon detect in it an incessant tendency to that which is bad, and a backwardness to that which is good. You will see in it the buds and germs of deceit, evil temper, selfishness, self-will, obstinacy, greediness, envy, jealousy, passion-which, if indulged and let alone, will shoot up with painful rapidity. Who taught the child these things? Where did he learn them? The Bible alone can answer these questions!-Of all the foolish things that parents say about their children there is none worse than the common saying, “My son has a good heart at the bottom. He is not what he ought to be; but he has fallen into bad hands. Public schools are bad places. I especially agree with that last sentence about public schools. But I don’t want to get sidetracked here. I know that you have taken care to baptize your evil little infant (Question 95, hello!?). But maybe not everyone knows it. Don’t you know that the Bible says that the fruit of your wombs are a reward and that you will not be put to shame when you speak to your enemies at the gate? Therefore, take heart, and be unashamed in proclaiming your Reformed Faith to the nations by dressing your child clothing that proclaims the gospel! Shop at ReformedBabies.com. For many believers, the question of why they struggle with sin is a hard one. But I say it is easy to explain: all you need are attributes. By contemplating the attributes of God you can arrive at holiness. By failing to have a proper doctrine of them, one falls into the wheel and woe of sinfulness. Here, Adam and Eve fail to understand God’s attribute of omniscience. Likes babes they believed that God was embodied and limited in sense. Their hiding among the trees only reveals their staggering ignorance that God knew where they were at all times. They also failed to understand that God was omnipresent and is so even in the tormented faces of hell. If only they had meditated on these truths they would have avoided the Fall. Finally found a book that is line with my political sensibilities.